My newest quilt Spinning in the Wind was actually finished (all but binding) weeks ago and not this last weekend, but the one before I got the binding on it. This quilt is made out of the Architextures by Carolyn Friedlander. When I first saw this fabric last year I fell in love with it. To me its very much a Guy fabric line. Any way some how or other my wife talked me into making a baby quilt out of it so this first one will not be mine. I plan to make another lap size like this for me, but I first have to find my template or buy another (I lost mine, or at least its not where I thought I put it). Maybe in a month or so it will turn up and I will make another its half cut out now. 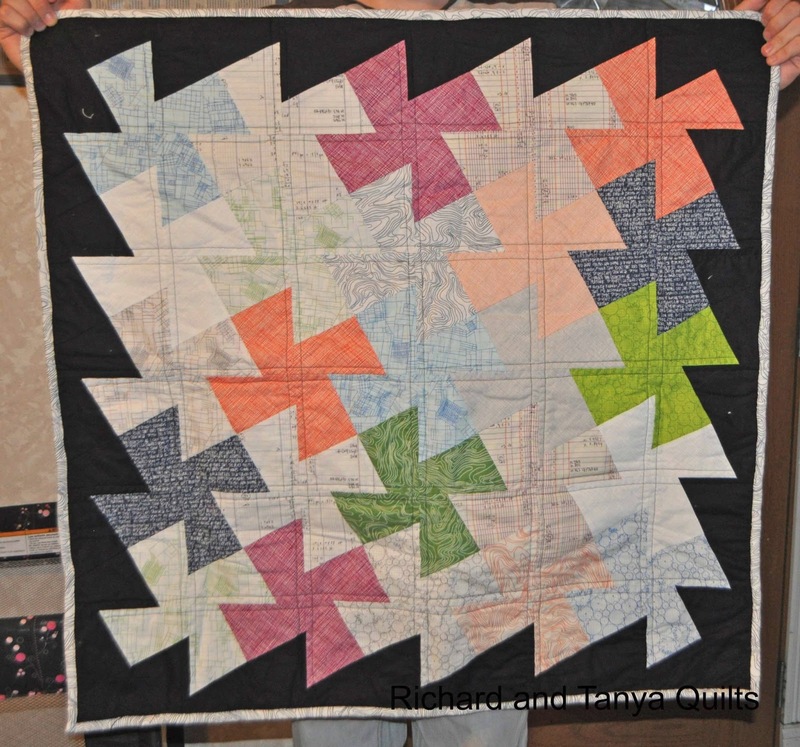 I am part of the Salt Lake Modern Quilt Guild and I did the more modern twist on the back so that I could get some more street credit at the guild meeting. If you follow that link to our guild site you can see our show and tell from last month and I showed off this quilt (minus the binding). Last but not least is a straight on shot of this quilt. My wife will be putting this quilt for sell on our Etsy store in a week or so. 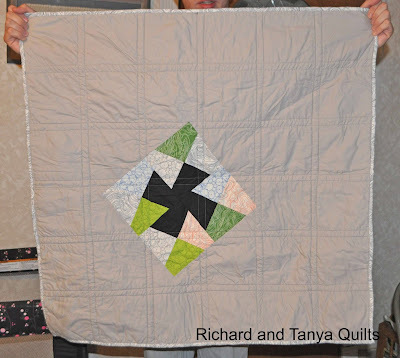 If you know a baby that needs this modern quilt it could be yours. If you have not yet entered to win our giveaway this last week please visit this post to enter. You can still enter for almost a week still. 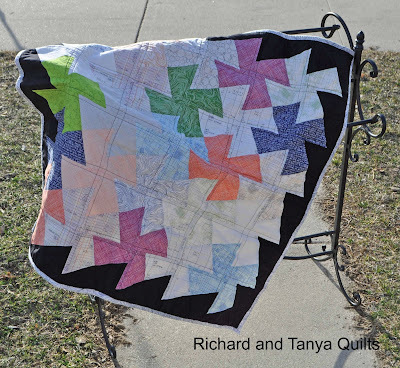 I really like this quilt, Richard. The black looks great as the background--makes the other colors pop. The one on the back is really interesting. 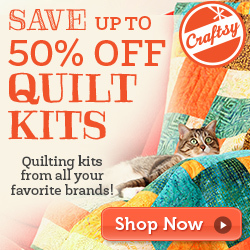 I'm trying to visualize what it would be like to have a whole quilt of those. Julia's First B-Day with Quilt Giveaway!!! The Orange and the Gray's! Orange, Orange, and More Orange!